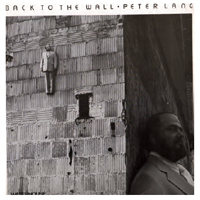 PETER LANG was discovered in 1972 by guitarist JOHN FAHEY. His first album was released in 1973. In the ’70s he recorded/performed with RY COODER, JERRY GARCIA, CHET ATKINS, NITTY GRITTY DIRT BAND, EMMYLOU HARRIS and THE PAUL BUTTERFIELD BLUES BAND. “Back To The Wall” was released in 1978 after being recorded in Minnesota and highlights his gift in expression. THE VILLAGE VOICE said “Lang is one of the finest acoustic fingerstyle players in the nation. His songs are complex, mercurial, lyrical and fluid”.